Being organized means different things to different people. The task of a Professional Organizer is to determine the best organizational solution for each individual they work with. There is no one solution. The organizational plan must be tailored to meet the needs and personality of the client. The goal is to create a system that is user friendly and will be maintained after the Professional Organizer has left. Are you losing productivity because of a disorganized work space? Does it take you longer to find someone’s contact information than it does to make the actual phone call or write the email? Do you feel overwhelmed by your ‘to do list’ and don’t know where to start? Do you need help with managing your time and prioritizing your tasks? Have you ever purchased an item that you already own but cannot find or forgot you had? Is your garage so full of stuff that your vehicle won’t fit in it? Is your spare room a catchall for everything you don’t know what to do with? If you answered yes to even one of these questions it is fair to say you would benefit from the services of a Professional Organizer. 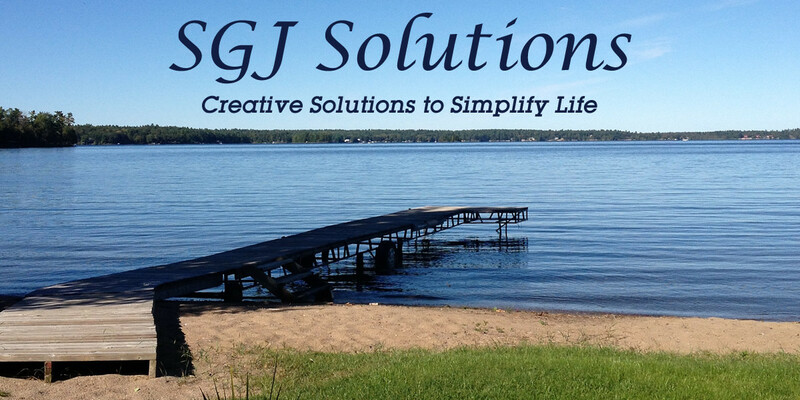 Visit SGJ Solutions's profile on Pinterest.